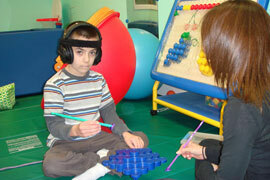 Visual Perceptual Deficits prevent from performing fine motor skills. Often times, people take little things for granted. For many people, this can include something as everyday as the ability to open a water bottle or even write one’s name on a piece of paper. However, there are many children who are born with disadvantages that prevent them from learning and performing such fine motor skills. Fine motor skills are the abilities to use small muscles (one’s fingers, wrists, etc.) to perform tasks. These abilities are crucial to everyday life, as menial tasks can sometimes be the most crucial ones. Identifying and aiding a child’s fine motor disabilities is vital for his/her development and, in turn, his/her future. Some of the most important fine motor skills are graphomotor skills. Graphomotor skills involve the ability to use one’s fine motor skills to perform the task of writing. While writing a legible sentence may seem extremely easy, many children have trouble concentrating on and accomplishing this goal. It is important to be attentive towards a child’s inability to write instead of writing it off as misbehavior. If you’re concerned that your child may have graphomotor skills issues, you must help to fix it. Parents can help a lot at home, but a child can benefit the most from professionals who offer solutions. Solutions include training using different tactics. Writing exercises, visual perceptive practice, and other strategies can have a combined effect that leads to one’s child improving or perfecting his/her graphomotor skills. At Bergen Pediatric Therapy we combine all of the therapies together with a team centered approach by collaborating with physicians, therapists, and others involved in the child’s care.